Notes: Early historians believe that the Palmer family may have had some roots in Angmering prior to the 14th Century but there seems to be no evidence of this. In the 1524 Subsidy Rolls, John Palmer (1498-1563) heads the list of West Angmering taxpayers which probably indicates his status. The manor of West Angmering seems therefore to have been acquired by the Palmers before this date, possibly by the first John Palmer (born c1445). They probably restored and took up residence in New Place manor house, one wing of which still exists today. Notes: was a Bridgettine nun at Syon Abbey at Isleworth in the 1530s. When the monastery was dissolved on 25 Nov 1539, she received a pension of six pounds. It is unclear where she spent the next twelve years, but in 1551 she led the community of Syon into exile to the Low Countries, where they lived for six years at Termonde in Flanders. Cardinal Reginald Pole visited them there in 1554. Returned to Old Syon under Mary. On 1 Mar 1557, twenty-one sisters and three brothers were officially reestablished back in England, at Syon. Catherine Palmer was elected abbess on 31 Jul 1557. 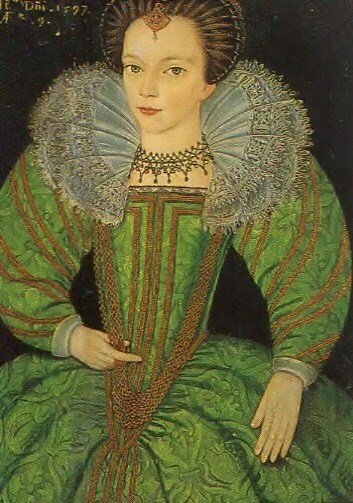 Abbess Palmer conducted the community into its second exile upon the accession of Elizabeth. Syon was dissolved by Parliament in May 1559 and Catherine Palmer and some of her sisters left England in the party of the departing ambassador from Spain, the Count of Feria. They returned to Termonde until 1564, then moved first to Zurich Zee; then to Mishagen, near Antwerp (1568-1571); then to Mechelen. Pope Pius IV had issued a papal bull on 7 Jul 1563 to ask church leaders, particularly the Archbishop of Utrecht, to assist the nuns in exile from Syon. She died from the shock when a Calvinist mob pillaged the convent on 8 Nov 1576. After burying Catherine Palmer in Mechelen, the others moved on to France and then to Portugal, finally settling in Lisbon in 1594. They returned to England in two groups, one in 1809 and the other in 1861, and eventually established a permanent community, still extant, in Devon. Notes: Sp. Arrested with Sir John Gates, Sir John Cheke, Bishop Ridley, Dr. Sandys, Lord Chief Justice Mantague and the Marquess of Northampton for their part in the attempt to put Jane Grey in the throne. Beheaded. Notes: eldest of the three sons of Sir Edward Palmer said to have been born at new Place on three successive Sundays (Cartwright quotes... Fullers Worthies of Sussex for the truth of this story). Sheriff of Sussex in 1534 and 1544. He left in his will £10 a year for life to maister John Caryll and after his death to Edward Caryll his son for life; £4 to John Paynett for life; £10 and copyhold and land in her occupation to Joan Raymond rentfree; 4 marks to Joan Holland yearly for her lifetime "that she be not troublesome to my howse"; Year's wages and a coat to each servant; 4 marks a year to Harry Michell to serve his son honestly; £10 to brother Benlouse? Notes: Much of the west of the parish, part of Ecclesden manor in Angmering, belonged in the Middle Ages to Fecamp Abbey and later to Syon Abbey (Horsfield). The lands concerned included the area known as Selden. In 1540 Ecclesden manor was granted to John Palmer of Angmering, together with its appurtenances in Patching but excluding lands later called Barnstake and Surgeons fields. The Palmer lands in Patching were partly or wholly dispersed in the early 17th century. 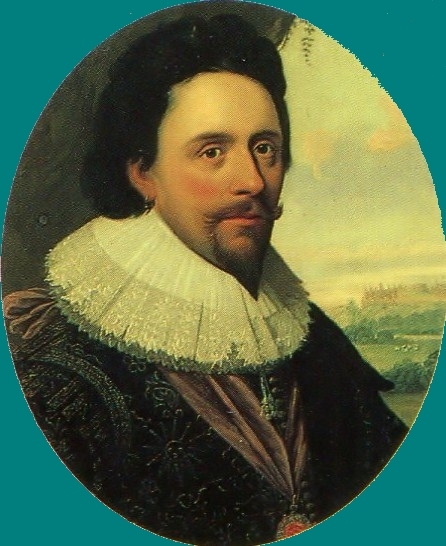 In 1605 Sir Thomas Palmer, the son of John Palmer, granted lands in Patching to Sir John Caryll, who died seised of lands there and in Ecclesden in 1613 [Sussex Record Society 70] In 1608 he also granted away lands in Selden which had formerly been part of the demesne lands of Ecclesden manor, and of which 10 ½ acres were successfully claimed in 1850 to be tithe-free as former monastic land. Palmer's son, another Sir Thomas, sold a messuageand 40 acres in Selden to Robert and Sibyl Grinyer. Notes: granted Parham by Henry VIII 1540, however, Parham as such, was not built until after 1577 by his son Thomas. Because of this, no children are shown herein born in Parham until after 1477. Only the Palmer Pedigree records his marriage to the widow Blanche Reynolds and all his children from her. The Palmer Pedigree disagrees with many other records for Robert's children but the Palmer Pedigree is more credible. Because the Palmer Pedigree records his son Thomas born ca 1520, and because some other records show a Thomas born 1518-19, we believe the historically important Thomas (he began construction of Parham) is the son of widow Reynolds and leaves all children recorded herein from her. Also, the birth dates for the wives of Robert's sons provide credence to later birth dates for his children. Robert's first wife, Bridget or Beatrix, may have had children born between 1498 and 1510 with some or all the same names recorded herein.